El Nido, 필리핀의 웨어 투 넥스트 - 낙판 | 호스텔월드에서 예약하세요. Where 2 Next - El Nido offers you the perfect spot to rest your livers from all the partying you have done on your travels. However, we do sell alcohol if you feel the need to quench your thirst. 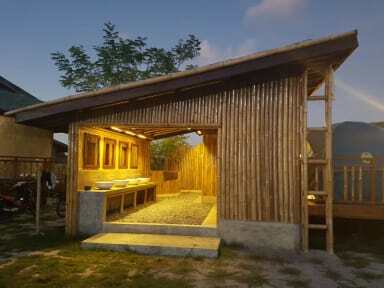 You will feel the authentic village lifestyle whilst enjoying some modern amenities. 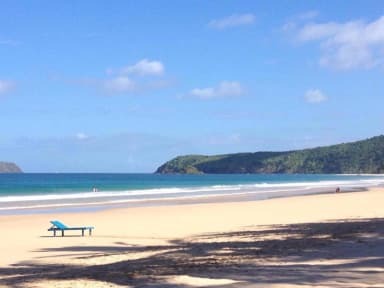 Detox and rejuvenate by going for a swim at the famous Nacpan Beach or taking a short walk and catching the sunset at Calitang Beach. We are working towards becoming an eco-friendly hostel, currently running on solar electricity, as well as minimising our plastic waste. We recommend you to bring your own water bottles to refill. We offer shuttle service upon request. Please bring a proof of identification, such as your passport or drivers license. If you are a local guest, we require 2 valid, government-issued IDs. Full CASH payment is required upon check in. In the event of non-arrival/NO Show or if notified less than 72 hours (3 days), a 1-night fee will be charged. PLEASE NOTE that any deposits made via online bookings are NON-REFUNDABLE and NON-TRANSFERABLE regardless it be on or before guest stay. To make a change to your reservation, please contact the hostel directly on the above contact details at least 48 hours prior to your arrival date. Please ensure that you receive a confirmation email regarding any changes you have made to your booking to ensure that your request has been approved.